Back when I first started eating low carb, I was on a mission to find a suitable substitute for potato chips. Now, I’m really fond of my Cheesy Cheddar Crisps, but sometimes you just need a little variety. After discovering the beauty of pepperoni chips, I always wondered if the same would work for other cured meats. After scouring my local Italian groceria, I discovered a stash of wafer-thin prosciutto. 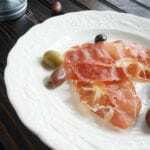 Prosciutto is a great candidate because it’s light and just fatty enough that it doesn’t require any additional oil. Once they start crisping in the oven, the entire kitchen will be perfumed with the succulent pork fat (similar to bacon!). And so it was born, my Crispy Prosciutto Chips. They’re one ingredient and DELICIOUS! As the name suggests, these prosciutto chips make an excellent alternative for potato chips. They are also an excellent garnish (it looks super fancy!) and are awesome in a salad. I tend to eat these as a snack, usually paired with some Kalamata olives. I usually don’t add any herbs or spices to these, but I will on occasion add smoked paprika. It’s a really great flavor! On a parchment-lined cookie sheet, place slices of prosciutto. Make sure they aren't touching. Bake for about 10-15 minutes, until crispy. Keep a watch of them as they can burn really quickly. Remove from oven and let cool completely before eating. 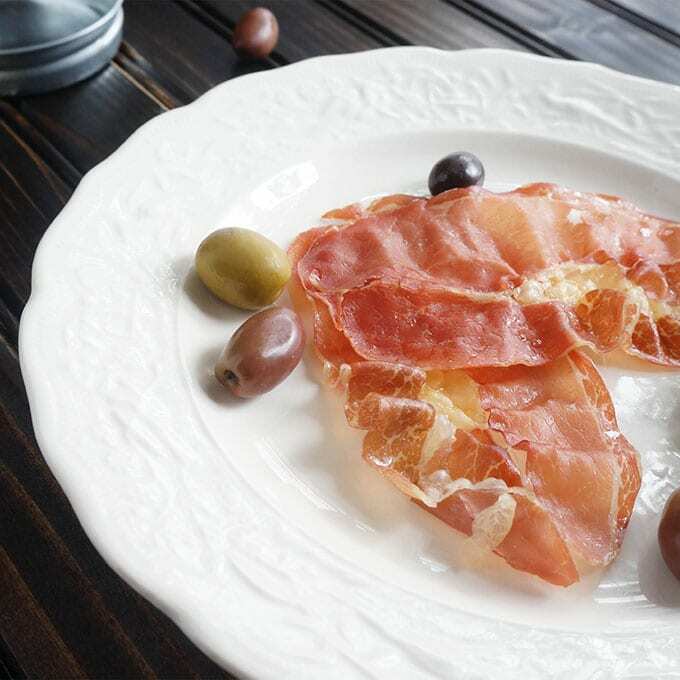 What is your favorite way to eat prosciutto? Let me know in the comments below!